Dr. Abdullah Al Mosabbir is an experienced Hematologist with demonstrated expertise in the diagnosis and treatment of diseases involving the Blood & Bone Marrow including Leukemia, Lymphoma, Multiple Myeloma, Thalassemia, Aplastic Anemia, Hemophilia etc. 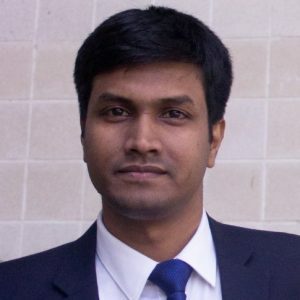 He has a strong medical background having done his MBBS from prestigious Dhaka Medical College, and later his FCPS in Hematology from the acclaimed Bangladesh College of Physicians and Surgeons (BCPS), Dhaka after completing four years of fellowship training in Clinical and Laboratory Hematology. Currently he is working as a part of a high efficiency Hematology team at Sir Salimullah Medical College and Mitford Hospital, Dhaka, Bangladesh. He started his professional career by joining Bangladesh Civil Service (BCS) as a Medical Officer, delivering primary healthcare services at different Upazila Health Complexes over two years before assuming his current position. In addition to medical services, he served in the capacity of Upazila Medical Officer Disease Control (MODC) over a year, overseeing various Govt. run public health programs, responsibility entailing constant monitoring and regular reporting of EPI, communicable and non communicable disease control programs to the concerned authorities. He received many state funded advanced training on different clinical and public health issues during his tenure as MODC. He is closely affiliated with Hematology Society of Bangladesh and Bangladesh Medical Association. Presently, he is also serving as a pro bono consultant for Bangladesh Thalassemia Hospital, Dhaka, one of the largest nonprofit hospitals dedicated to ensuring comprehensive healthcare services to patients with Thalassemia and related disorders. Apart from his clinical career and affiliations, Dr. Mosabbir is very enthusiastic and devoted about collaborative research promoting national and international cooperation. He strongly believes in team work for uplifting quality research of the country, and is contributing as a passionate researcher in Biomedical Research Foundation Bangladesh (BRF) starting with the phenomenal Chikungunya project. He is currently working in a milestone BRF project focusing to develop and implement a comprehensive online registry system for Thalassemia patients in Bangladesh. He also holds deep interest in research addressing Leukemia, Lymphoma and other hematological malignancies. Dr. Mosabbir aims to apply his knowledge and skill to advance country’s clinical research through BRF.